Custom home building comes with a lot of tough decisions. One of the most important? Choosing the right home builder. Unlike hiring, say, a residential architect, every person building a custom home must select a home builder. There are thousands around the country who have the ability to build your dream home, but you should not limit your decision to just those who offer the bare minimum. Selecting a home builder is a very personal decision. As a result, you should speak with several builders to ensure a perfect fit. When you sit down with them, ask the following questions. Does the builder come with a team? 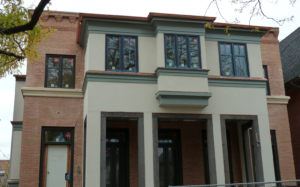 Most people don’t know what to expect from the custom home building process. If a builder comes with a team or several close contacts, you’ll immediately broaden the number of resources available during construction. How long has the builder been working? 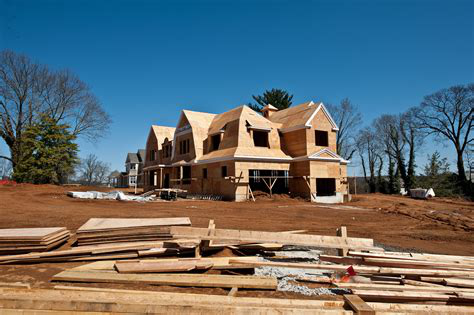 Home construction has changed dramatically in the past ten years—fewer people are building custom homes. If your builder has been in business for ten or more years, they’ll understand the history and trends behind custom home construction. This is evidence of a strong company with a good product. Are there home plans I can choose from, or should I hire a residential architect? Some builders will provide homeowners with a gallery of plans to choose from, while others require individuals to hire architects to do the designing process. If a builder offers the former, ask about flexibility and the ability to make changes to original plans. If you want your home to be in a certain part of town or within a certain school district, be up-front about your needs. If a builder is not able to work in a specific area, move to the next candidate. The answers to these questions will determine which builder best fits your project. However, you should also be aware of how the person or company makes you feel. Does it seem like they have good ideas and design creativity? Will you be comfortable contacting them most days for the next six months? In the end, choosing a builder is about choosing a personal connection. Don’t rush this decision and carefully consider every option. The only moment truly better than finding – or building, as the case may be – your dream home is actually reaching the closing date and then moving all of your stuff into your new home, the place that you are going to set down some roots and build some memories with your loved ones and your family. Of course, before you get an opportunity to spend even a single night in your new home there are plenty of things you’re going to want to have covered. You’re going to want to make sure that you are as prepared for the move as possible, that you have all of your ducks in a row, and that you are able to transition into your new home as effortlessly as possible. To help make your transition as easy as humanly possible, you’ll want to punch out this quick checklist so that you can really rock ‘n roll! Make sure you have copies of all your important housing documents and that they are safe and sound. Immediately after the actual closing itself has concluded, you’re going to want to make three copies of all of your critical housing documents. You’ll want to keep the original set in a safety deposit box at a bank you know you can trust, you’ll want to keep a set at home (ideally in your office inside of a fireproof and waterproof safe) so that you can review the information when necessary, and you want to have a third set that you can let your home insurance providers “borrow” while they review the pertinent details and set you up with your coverage. Swapout any old locks and reset any key codes. As a general rule, if you’re moving into a home that has already had an owner or two, you’ll want to swapout all of the old locks for brand-new ones so that you can guarantee that you don’t have to worry about a complete and total stranger effortlessly accessing your home with a set of keys when you aren’t around. It’s a good idea to make sure that your contractor has provided you with all sets of keys that you have given when they were building or renovating your home, and even some people that have built brand-new construction choose to completely swapout the locks just to make sure that they don’t have any security issues to worry about in the future. You’ll want to do the same thing with any digital locks and key codes that need to be taken care of, too. Have professionals come in and clean everything before you move your stuff in. The best time to clean your brand-new home is right before you move all of your stuff in, so it is a good idea to call in the professionals and have them clean from top to bottom so that your new home is ready to go when you have the movers come in. This will really help you feel at home, especially once you get all of your window dressings, draperies, rugs, and other home decor items in. If you can hold off on the professional cleaners until you have the basics of your home decor set up and ready to go, all the better – as you’ll be able to move in your bigger furniture and all your “stuff” later and will be able to start off your new life in your new home on the right foot!